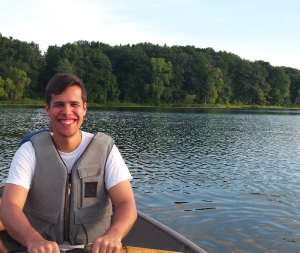 This week’s BEACON Researchers at Work blog post is by MSU graduate student Thassyo Pinto. A nice sunny day for deploying a robotic fish in Wintergreen Lake at Kellogg Biological Station (KBS). During my childhood, my favorite toys were the ones that I could create using scrap parts. When that was not fun enough, I used to teardown old devices at home just to see the type of mechanisms that were part of their functionality. There is no doubt that by exploiting my creativity and curiosity at early age I was delineating my future career as an engineer. Later on, when I was applying for college, robotics was my first choice without any hesitation. But how did I become part of BEACON? In 2013, I was studying abroad in United States and I had the opportunity to work in the summer as an undergraduate research assistant at The Adami Lab. During that time, I have started investigating the application of evolutionary computational tools for evolving and transferring artificial brains to real world robots. By using Markov Brains, which are encoded networks composed of multiple probabilistic logic gates (more information in here: http://adamilab.msu.edu/markov-network-brains/), I was able to evolve controllers for line following robots in order to make them adaptive to changes in their work environment. The results of these experiments can be found in this page: http://alproductions.us/blog/2013/10/12/markov-brain-controllers-in-robots/. 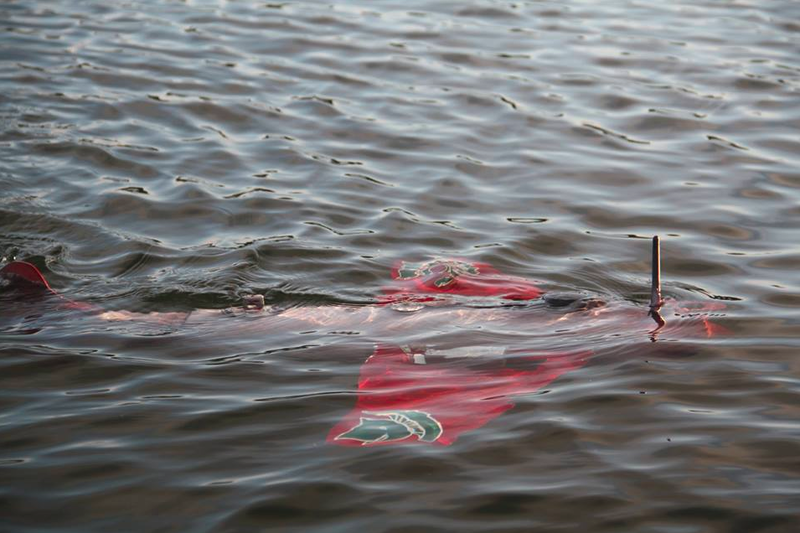 The robotic fish GRACE sampling water columns for temperature and harmful algal blooms autonomously. Motivated to continue this previous work as well as due to collaborations between the College of Engineering at Michigan State University and the BEACON Center, I came back in 2014 to MSU to start a graduate program in Electrical Engineering. Now I am also part of the Smart Microsystems Lab (SML), which is focused on the design and control of novel materials and underwater robots. One of the projects in this lab, is a gliding robotic fish (GRACE), which is used for collecting and transmitting data from underwater environments, particularly, for sampling harmful algal blooms. Some field tests have already been performed at the Kellogg Biological Station (KBS) in the past few years (video: https://www.youtube.com/watch?v=7ybtkn1cdHs). Finite element analysis of a soft joint and pneumatic actuated manipulator. Autonomous machines like the robotic fish can have several limitations on their locomotion and sensory systems due to design constraints imposed by the type of materials used for their construction. Hard components are responsible for generating additional loads to a robotic structure as well as complexity in the assembling processes. 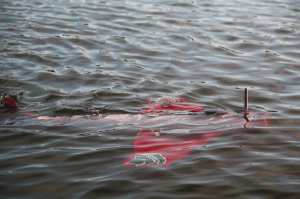 Deploying a machine in a unstructured underwater environment, not only requires it to have precise sensing devices for detecting external features but also enhanced motorized mechanisms that facilitates its mobility. Constant design improvements are important since it allows the development of fitter autonomous systems. A bidirectional soft actuator fabricated by 3D printing process. When we look at nature, we can see that most organisms are composed of soft mechanisms such as tissues, muscles and organs. Due to this fact, most of the body dynamics and control are outsourced to the morphology and material properties of the organism such as the density, stiffness and compliance. We can then imagine a similar case for robots with an artificial version of these mechanisms. If we employ soft materials in robotics, would we be able to create autonomous machines that are compliant and capable to withstand damage, wear and large stress? Soft actuators and flexible sensors can be achieved through various methods such as soft lithography, photopatterning and 3D printing. 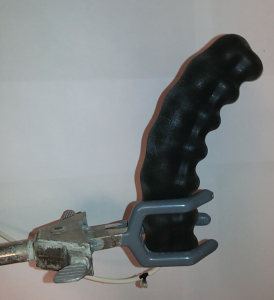 In recent work, I have investigated the use of silicone-based and rubber-like materials for the fabrication of soft pneumatic bending actuators. These actuators are composed of a very flexible and stretchable hollow layer attached to a thin inextensible layer. By injecting any type of fluid in the chambers of the soft actuator, it will generate the desired bending motion. 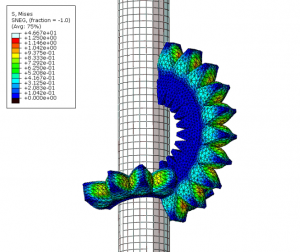 As part of my research, several prototypes have been simulated using finite element software as well as fabricated for physical experiments. In a sense, the continuous deformation of soft materials allows the system to have infinite degrees of freedom. This material behavior enables a soft robot to achieve more complex motions and actions, similarly to the ones performed by some marine animals. The application of biological inspiration in the design of robotic systems is very important for the engineering field, since it promotes the advancement of new technologies in order to mimic the traits or behaviors found in different animal species. The investigation of novel materials and fabrication processes is necessary for designing state-of-the-art sensors and actuators for bio-inspired machines. 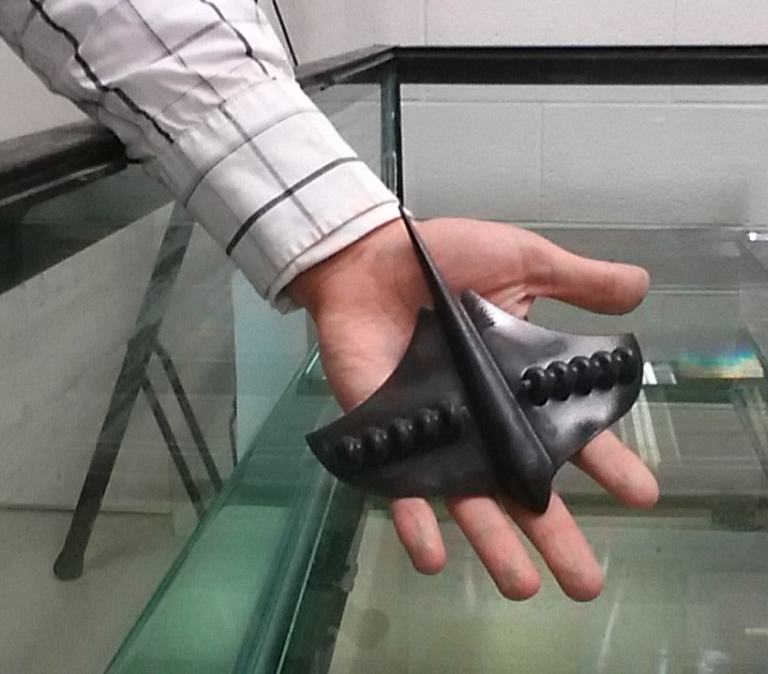 For instance, by using a 3D printing process, I was able to fabricate a miniaturized stingray-like soft robot, which has a tethered pneumatic actuation system. However, if we want to build an entirely compliant autonomous system, the control unit and all additional components must also be capable to undergo large deformations while still being functional. These requirements and constraints bring a lot of opportunities for the discovery of innovative technologies, providing more impulsion to my current work. A 3D-printed stingray-like soft robot for tethered actuation in underwater environments. nes. This multidisciplinary research approach stimulates my creativity and problem solving skills, and it is very exciting to work in a community where different scientific fields benefit from each other. For more information about Thassyo’s work, you can contact him at thassyo dot pinto at gmail dot com.